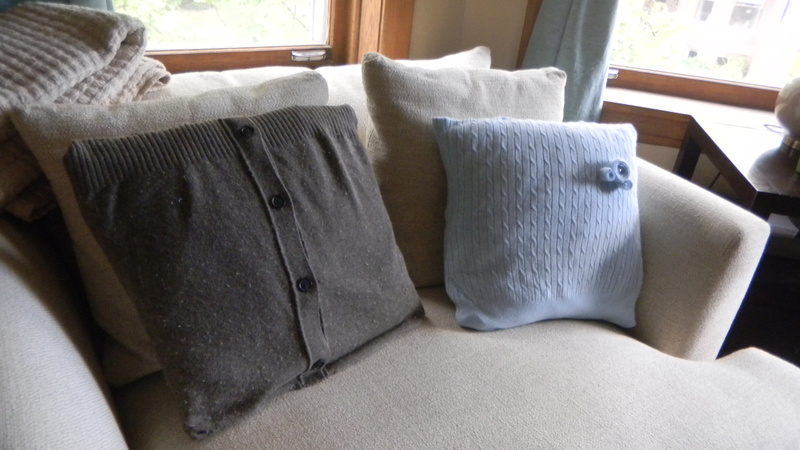 I’ve always loved sweater pillows.They go with the fall like the sweaters I wear do. Pottery Barn had some great ones last year. 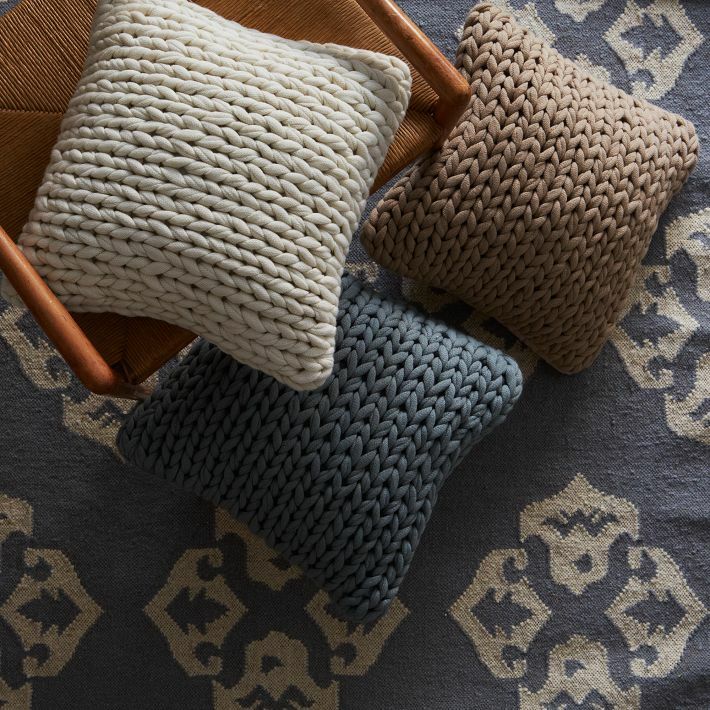 This year, I’m lusting after these from West Elm. But, at $39 a pop, without including the pillow inserts, these were just too rich for my blood. I’ve seen many sweater pillow tutotials on pinterest, so I decided to try my hand at sewing some sweater pillows of my own. I started by choosing some colors I’d want. I decided to stick in the light blue/beige/off white family. I figured it would match my living room colors, and would translate well from fall to winter, and even be OK for the holidays. Dan and I took a trip to a local thrift store on half price day, and I think I bought all of these sweaters for less than $8 total. Now, it was just a matter of sitting down and sewing. Because I don’t own a sewing machine, or know how to work one for that matter, I sewed everything by hand. I didn’t really have an idea of how I was going to make each pillow cover. 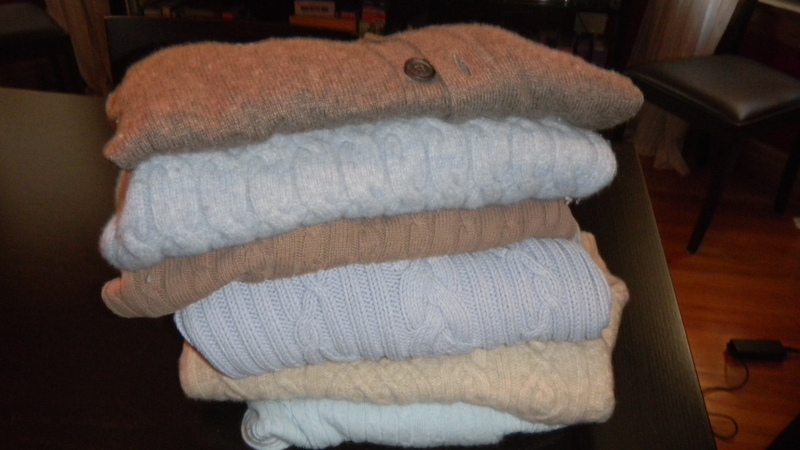 I just looked at each sweater, all in different styles, and tried to figure out what the easiest thing to do would be. I think the results came out rather well. Two for the chair and a half. And two for the couch. 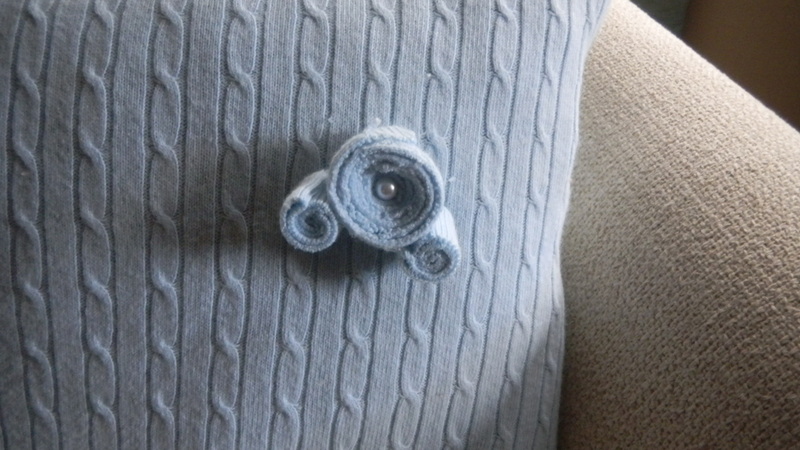 I think my favorite is the light blue cable knit pillow with the rosette embellishment I made from the collar of the sweater and a stray pearl button I had. 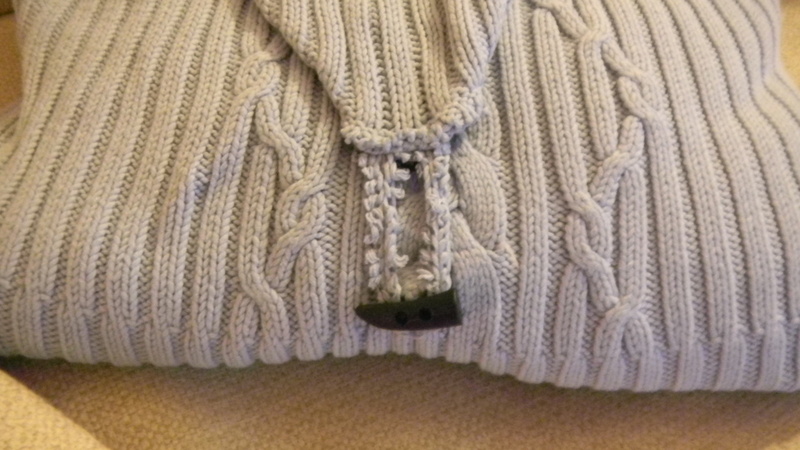 Dan really likes this toggle closure too. 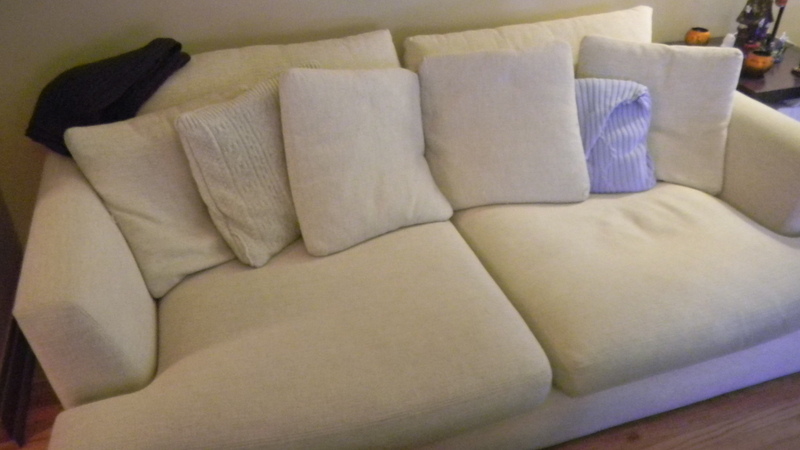 Maybe they don’t look exactly like the West Elm ones, but with a savings of $148, again, not including the cost of pillow inserts, I think mine will do just fine.